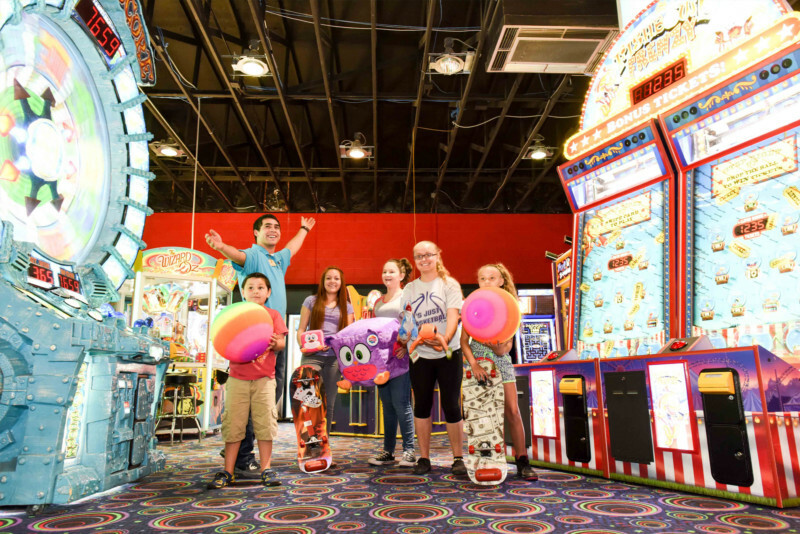 HINKLE FAMILY FUN CENTER IS … FUN! Hinkle Family Fun Center is Albuquerque’s Premier Family Entertainment Destination located in sunny New Mexico. Hinkle Family Fun Center features all new Immersive Virtual Reality, an 1/8 mile twisting Go Kart Track, a 4500 square foot black light themed Lazer Tag arena two scenic 18 hole Miniature Golf Courses, the Fun Center & Lazer Tag Game Rooms and Prize Centers, Bumper Boats, a 13,000 square foot outdoor Paintball field, Bumper Cars, Battletech, Rock Climbing, Bungee Jump Trampoline, Lazer Frenzy, Light Space, Birthday Parties, Group Events, and Cody’s Cafe Too! Rain or shine or anytime! Have your next event at Hinkle Family Fun Center for the most fun indoors and out. Celebrating 25 years of making memories that matter.